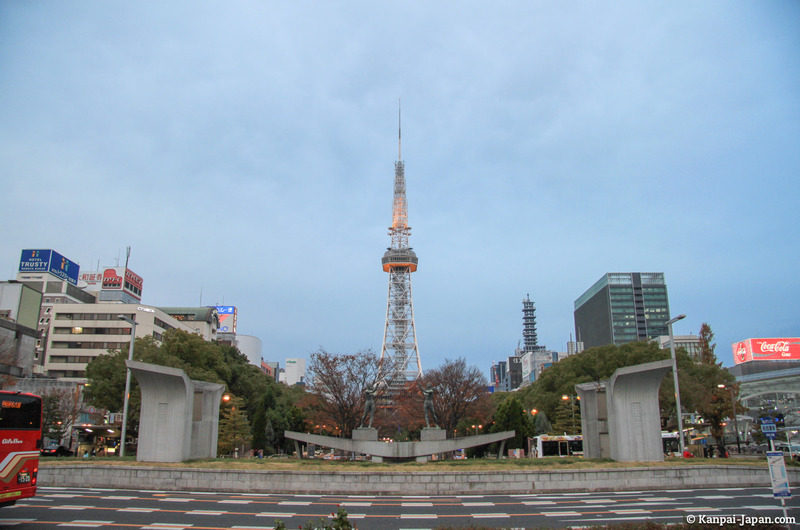 Once you have visited Nagoya Castle, why not take the opportunity to check some of the city's other tourist attractions, before leaving for other adventures? 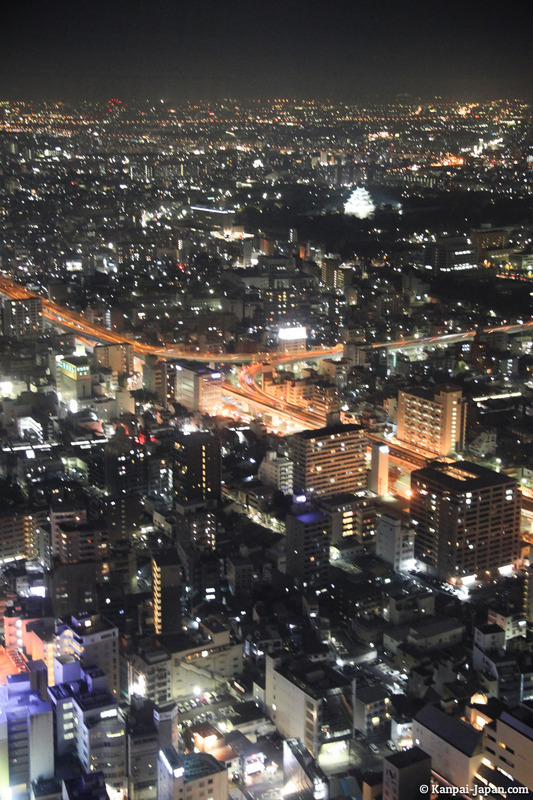 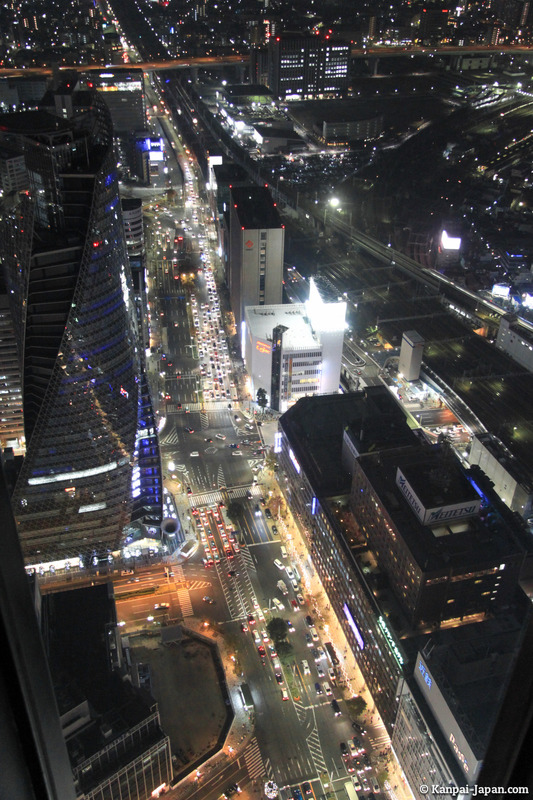 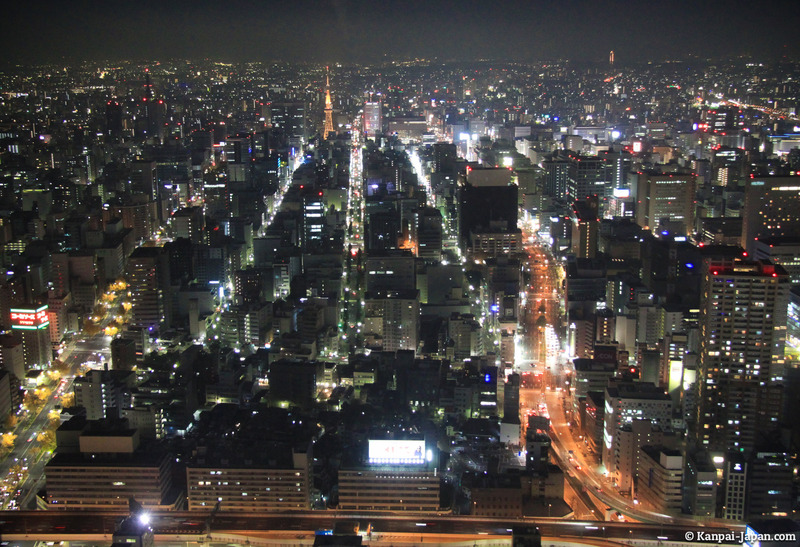 Two kilometers from the main station, and as many subway stations, is Sakae district which is sort of downtown Nagoya. 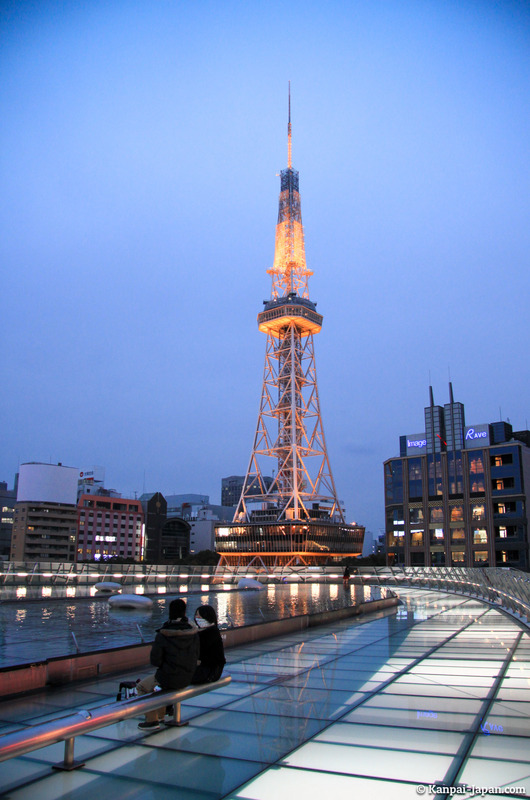 Once out of the eponymous station, stands a tower whose shape is vaguely reminiscent of Tokyo Tower's. 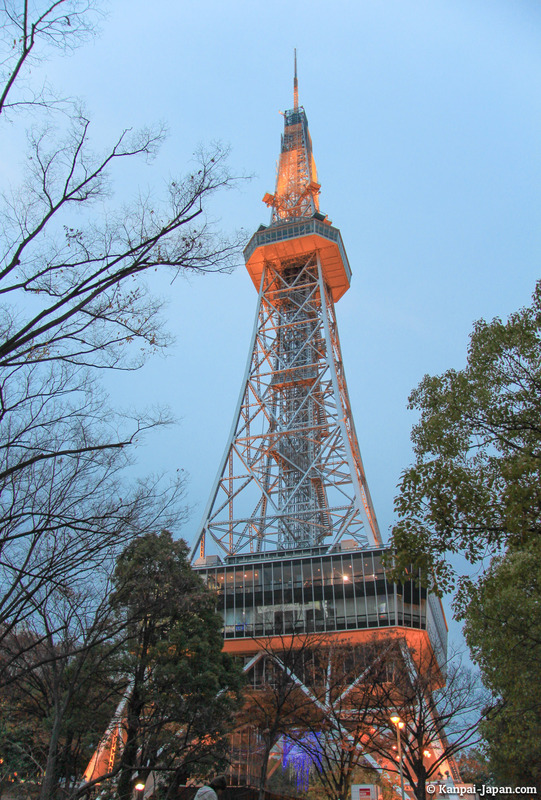 It actually belongs to NHK TV channel, and is used as transmitter to broadcast their programs throughout the area. 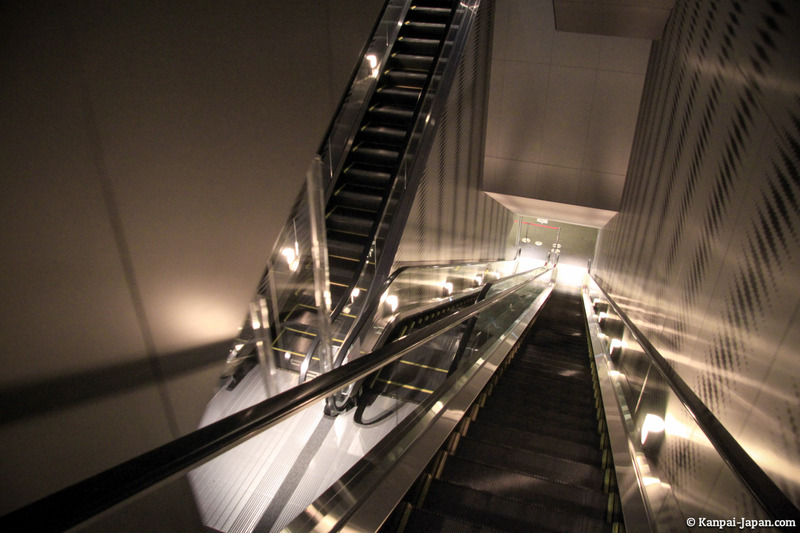 A few steps away is a mall like no other: Oasis 21, which original and modern architecture doesn't go unnoticed. 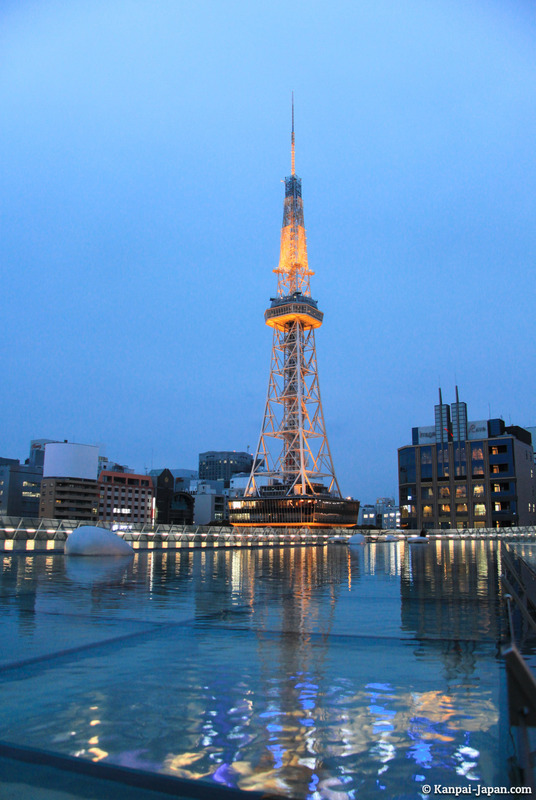 On top of what looks like a spaceship trying to land, you can enjoy a walk around an artificial pond. 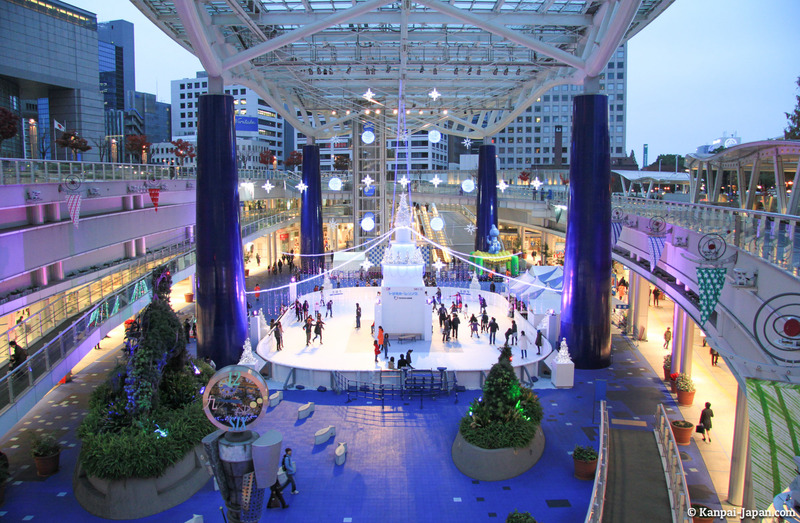 Shops, restaurants and other activities (such as a skating rink during our visit) are embedded below through several floors. 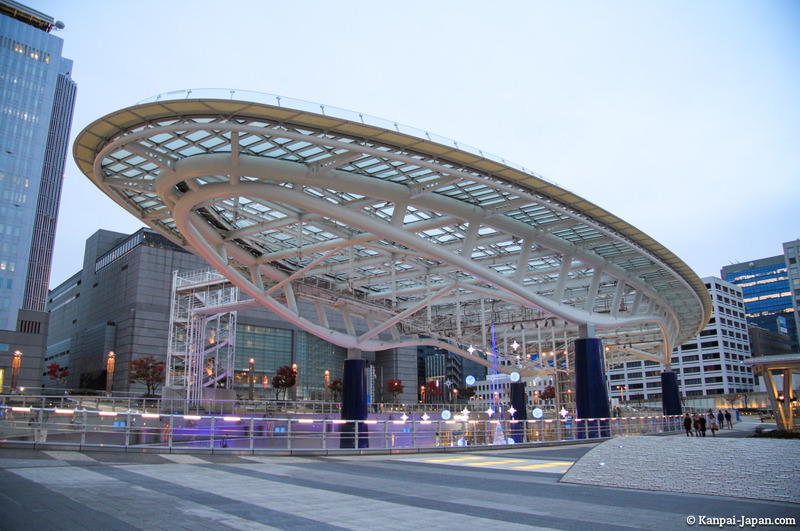 There are also other more traditional commercial centers in the avenues of Sakae. 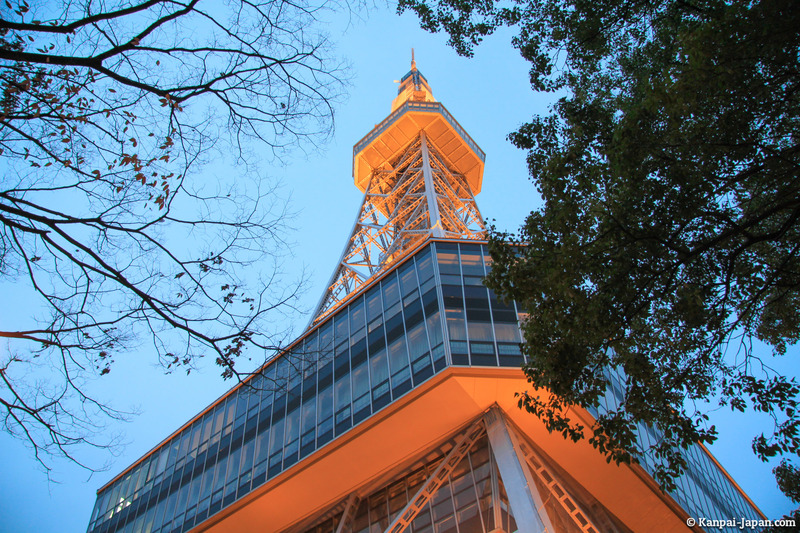 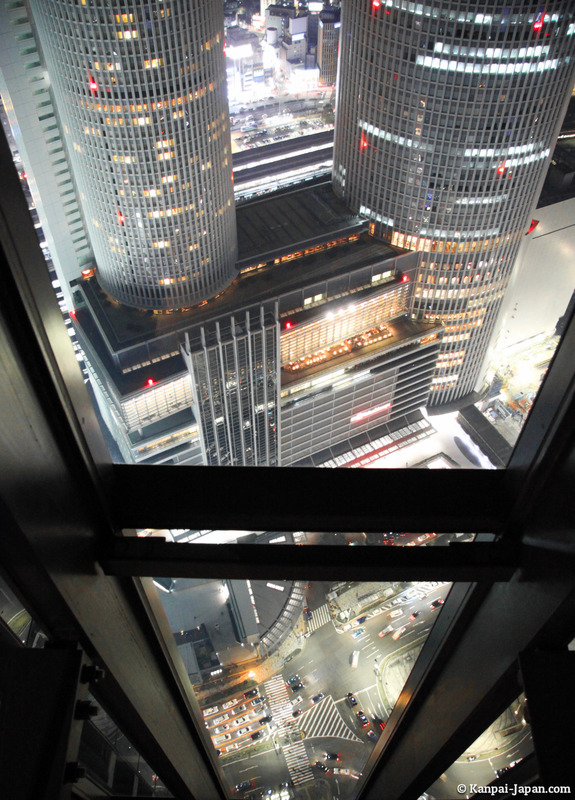 Going back to the station, don't forget to stop at Midland Square, a building 247 meters high whose "Sky Walk" observatory (on the 46th semi-covered floor) offers a stunning view over Nagoya, including the castle. 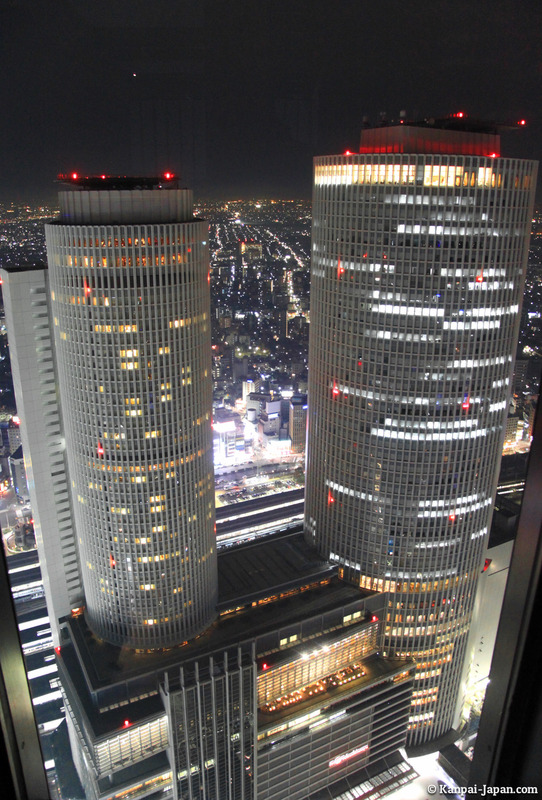 On the other side, you'll find the best possible view on the majestic JR twin towers and its offices.